Leave a comment on THIS post by 6 p.m. CT Tuesday, April 21, 2015 to be entered in the DRAWING for a copy of the book below. If you mention in your comment that you’re a follower (see in the left sidebar “Join This Site” and “Follow by Email”), I'll add your name a second time in the drawing. U.S. mailing address required to receive a paper book. Read book giveaway details at Disclaimers. To provide you security, please leave your email address like this: johnATyahooDOTcom. Winner announced in next Thursday's blog post. Linda Robinson is the author of four published novels. She writes Christian fictional stories of faith, friendship, and family relationships, with romance included. 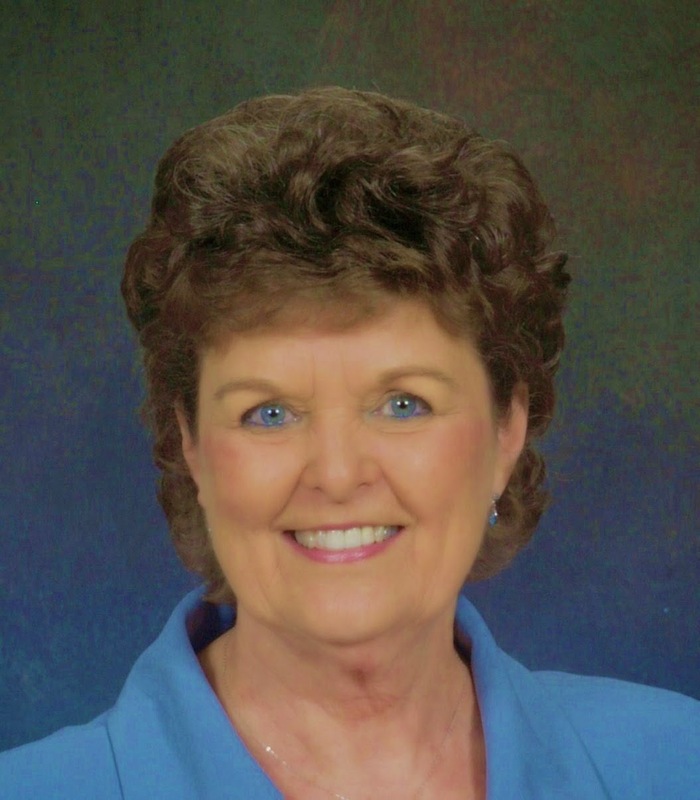 She’s an active member of her local Writers' Forum, ACFW, Scribes, and others. In addition to guest-blogging and writing fiction and non-fiction humorous short stories for magazines and contests, she is working on the third manuscript of her Faith and Family series of novellas depicting young adult Natalie Hudson, and her best friend Tori Rhodes, through high school, college, and careers with families of their own. Welcome, Linda. If you could have dinner with one person from today or history (except Jesus) who would it be? Mike Huckabee. He’s intelligent, witty, a writer, and a warm and friendly Christian man. I loved his television show, and I met him once at his book signing in Dothan, Alabama. 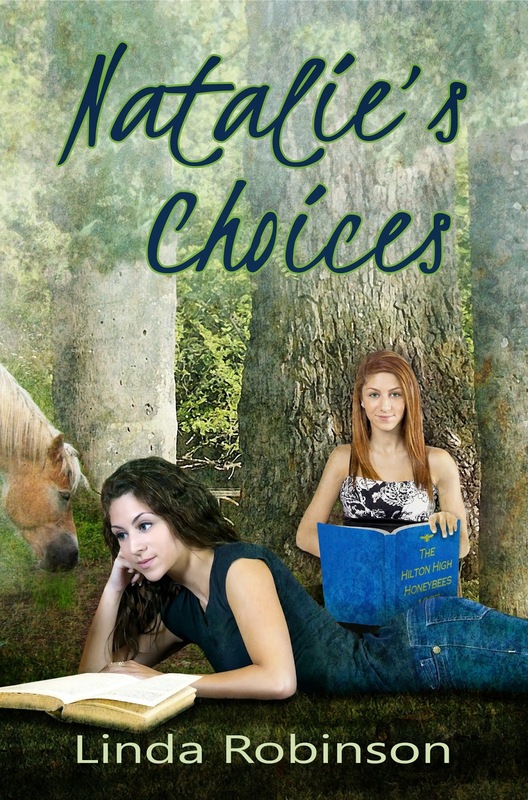 Please tell us a little about your novel, Natalie’s Choices. of novellas set in Vicksburg, Mississippi beginning in 1987. Natalie Hudson comes from a happy home with loving parents who take a special interest in their daughter. Natalie has goals and becoming a veterinarian is top of the list. She makes friends with Tori Rhodes, whose reputation is less than stellar. Tori comes from a single parent environment and is left on her own most of the time while her mother works overtime and tries to make a decent living for the two of them. Teen angst, endless trials, and life altering events abound and threaten the girls’ friendship as consequences unfold from both right and wrong choices. Natalie’s Choices cover won the 2014 cover of the year on the AUTHORSdb website. What takeaway value do you want your readers to have? That love and trust is most important in any relationship, but it’s especially important for parents to teach children about God’s love and forgiveness and show by example how to trust Him with both the little problems as well as the seemingly insurmountable ones. Where can readers purchase Natalie’s Choices? Also my first two published novels are available through Tate Publishing. I love flower gardening. It’s a toss-up as to which I cherish more—writing true-to-life stories about love, or growing beautiful buds and blooms. So these days I juggle my time between taking care of my house, husband, and spoiled little dog, gardening, and writing. I got a late start in my writing career, so I plan to just “write out” the rest of my life in my “write place” (landscaped patio). Linda, thanks for visiting with my reader and me. One of the commenters on this post will win a copy of Natalie’s Choices, which you’ve offered. The winner of last Thursday’s blog post for a copy of The Beekeeper's Son by Kelly Irvin is Allie28. I’ll email you. Thanks all for commenting. Watch for more book giveaways. Have you visited my inspirational blog, Lifelines? I welcome all comments whether you agree or disagree with me. In the right sidebar on that blog you can sign up to follow the blog and never miss when a new post goes up. While there, you can also sign up to receive my newsletter and be eligible for book giveaways. I post on Lifelines on Mondays and hope you’ll visit me there. Good point that we need to trust with little problems as well as the insurmountable ones. Love to read this new series. Thanks for stopping by and leaving your comment. Glad you found a new author here. I appreciate your following my blog and leaving your comment.! Renae, glad you follow my blog! Thanks for coming by and leaving your comment. Thanks for sharing Linda's thoughts and a a review of her newest book. I especially liked her aspiration to live out her life writing on her landscaped patio because I also love gardening, both flower and vegetable. Thank you Jo for this giveaway and I follow you. Connie, you're welcome. Thanks for following my blog and leaving your comment! Thanks rubynreba, jrs362, Renae, and Connie for your comments. Connie, my husband grows enough veggies for you, us, and numerous nomads. ;) He's addicted to his hobby as much as I am to mine. I have read every book by Linda Robinson. She is an excellent author. Her books are all page turners, you just can't seem to drag it out and make it last. You can't put the book down. If you read one, you will read them all. I don't need to be in the drawing...I already have all the books. Jamice, thanks for reading and leaving your comment. Thanks for introducint me to a new author. Linda, any particular reason for choosing to set your books in Vicksburg? Pat, glad you found a new author here. Thanks for commenting. I see your email addy and that your a follower! Sonja, glad you found a new author to you here. Thanks for leaving your comment. Your book, "Natalie's Choices" would be a wonderful addition to our church library. Thanks for entering me in your giveaway. Janet, you're welcome. Thanks for coming by and leaving your comment. As a young person who grew up in the time period this book is set in, I think I would enjoy reading it! Patty, thanks for following my blog! Glad you left your comment. Thank you, Miss Jo for introducing us to Linda. Natalie's Choice sounds like a wonderful book. Thank you for the opportunity and you know I am a follower! Melanie, you're welcome. Glad you follow my blog! Thanks for leaving your comment.